A View from the Top is the next chapter in Zig Ziglar’s ongoing personal journey of self-discovery. In this exciting mix of studio and live recordings. Zig will share with you his most intimate discoveries as to what he personally has discovered to be the most important elements of a truly significant life. Discover different triggers for self-motivation. Learn how you can recharge you human battery. You can be leader and change agent for your team. Take action now ! ·	Recommended reading for anyone who ever feels the need to re-charge their personal or business life. ·	Each of us has different triggers for self-motivation. Within these 50 ideas to motivate yourself, you will find many “A-ha” moments. ·	Learn to set your goals, welcome problems as opportunities and focus on what’s important in your life. Are you ready to ignite your passion and charge your life? Mac Anderson, Simple Truths founder, shares his ideas for you to learn how to motivate yourself and ignite your inner fire. Charging the Human Battery is a book with universal appeal. Everyone understands the benefits of staying motivated and we’re all hungry for new ideas that could help us. 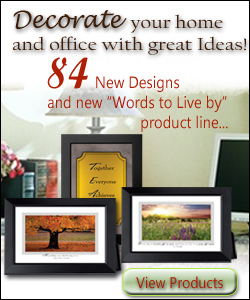 It makes a terrific gift for your friends, family and valued employees. Self Improvement Best self improvement resources for people who want to live a better and more fulfilling life. May you be blessed : it's about joy, appreciation, kindness and love. It is filled with inspiring stories, beautiful photographs and life-changing insights. I loved it and think you will too. It happened a few days after my father's death, in that mind-numbing period of adjustment after someone we love leaves us. Having gone shopping for necessities for my trip back to my own home, I was standing in an otherwise empty aisle of a large chain store when suddenly I sneezed, the last vestiges of an allergy attack I'd fought earlier in the week. Almost instantly, from the next aisle over I heard a voice call out, "Bless you," and then another, and another, and yet another. All in all, in the span of only a few seconds, I counted eleven different voices coming from every possible direction in the store, some saying "God bless you," others using the word "gezundheit," but all blessing me, all calling good down upon me. At first I thought little of it. After all the idea of blessing someone when they sneeze is rooted in superstition, an archaic belief that in the act of sneezing the soul is thrown from the body, and a blessing is needed for spiritual protection. Today, it is usually offered as no more than a courtesy, a polite response that has come to be socially accepted and expected. But on that particular day, in the first few moments following all those blessings being called out to me, I began to notice a difference in myself: A slight shift in perception that left me feeling more connected and empowered than I had in days. It also left me, for the first time since my father's passing, more confident that everything would be all right. Driving back to my father's house that day, I continued periodic "feelings" checks, marveling at how much stronger I felt. Later, sitting in my parent's kitchen for what would be one of the last times, I recounted the story to my stepmother. "Do you think any of them realized what they were saying?" she asked. "Or was it just out of habit?" "Just habit," I answered with a shrug, thinking about what a shame it was that people could give such a needed gift as a blessing and not even be aware of what they had done. "It should be a habit, this business of blessing others," I said a moment later. "But it would be nice if people actually knew they could and were making a difference." A seed was planted that day and two years later it sprouted, awakening me one morning to a gentle soul-whisper that poured forth as the words of a special blessing. Feeling compelled to take pen and paper from my nightstand, I prodded myself into full wakefulness and then sat on the edge of the bed, like a secretary poised for dictation, pen ready to capture each syllable as the inspired words flowed into my awareness. Because of the power of the internet, those words have since been sent across the planet and read by millions, and as a result, I have received thousands of letters from people telling me how May You Be Blessed has impacted their lives. And in each and every instance I have found myself blessed in return. I have often wondered since, if my newfound work as a dispatcher of blessings is the result of a serendipitous accident that placed me in a crowded store on a day when I was both prone to sneeze, and to listen to subtle nudges from the heart. Or was it, perhaps, that my father's gentle spirit was present that day, inspiring others to offer blessings so that I might be lifted up? Of course, it is a question I cannot answer, but I do know that since that time my life has changed remarkably. Each day is now entirely centered on the act of blessing and I have come to recognize it not only as one of the most powerful and practical ways we have for reconnecting with each other, our world and Life itself, but also the most phenomenal way possible to lead us to happiness and success. It is a discovery I now endeavor daily to share with all. A blessing, I have come to realize, is a sweet release from pain; a sacred reminder that we are made of love and light and goodness and, as such, part of a greater and most wondrous whole. It is an ancient key to a successful and fulfilling life. Today, whenever I share with others this phenomenal key, explaining how, as we each develop the habit of blessing others we are blessing our own lives, as well, I feel as if I have been given a wonderful gift. I realize once again how truly blessed I am. It is my hope that as you read this book and allow the words of this blessing to enter your heart, you will be blessed in return. I could not ask for anything sweeter to my soul than that. Sit back and click below :watch this three minute movie, relax , You are blessed ! Marc Anderson first met Charlie Cullen during his sophomore year in college. Charlie had been ranked by his peers as the top speaker in the country, and he had addressed the leaders of many Fortune 500 companies. But on this day, as a favor to his nephew, he interrupted his schedule to speak to a small group of students at the Holiday Inn. For almost an hour, Marc sat there in awe as he spoke passionately about the keys to success. He talked about courage, humility, perseverance, and believing in your dreams. And he ended with a story Marc never forgot. He said that he was in the Oklahoma City airport when he saw a woman walking along with three little girls. They were skipping and singing, "Daddy's coming home on a big jet! Daddy's coming home on a big jet!" All excited! Eyes lit up like diamonds! Wild anticipation! They had never before met Daddy coming home on a jet. Their mother was so proud of them. You could see it in her eyes. Then the plane arrived, the door opened and the passengers streamed in. You didn't have to ask which one was Daddy. The girls' eyes were glued on him. But his first look was for his wife. Seeing her, he yelled, "Why in the heck didn't you bring my top coat?" and walked right past his adoring daughters. You see, here was a man who had an opportunity to be great, and he didn't recognize it. How many times a day, a week, a month do we have the opportunity to be great, and not even know it? Marc heard this story over 40 years ago, but he never forgot it. It helped to shape my life in a very positive way...to focus on what matter's most.